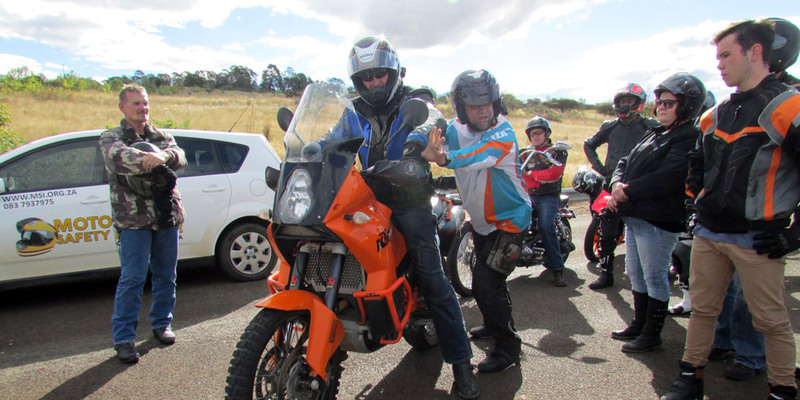 Steering Explained - Motorcycle Safety Institute of S.A.
You are riding along a country road, and can see the road ahead curving sharply to the right. It’s a blind curve, so it’s hard to assess just how much you will need to turn. Could there be traffic coming toward you when you go around the bend? Do you need to adjust your speed and steering to get a safe lean angle and maintain a safe lane position? If you’ve driven a car, you may think that steering is simple — just turn the steering wheel in the direction you want to go. But to steer a motorcycle you need to trust the effect and know how to lean into your turn while keeping your line balanced. You also need to understand the different types of motorcycle steering: low-speed steering, counter-balancing and counter-steering. At strolling speeds, the motorcycle is unsteady and requires constant balancing and steering correction. To steer at slow speeds, turn the handlebar to the left when you want to turn left or turn the handlebar to the right when you want to turn right. Keep your knees against the tank, relax your arms and upper body, turn your head and eyes looking and steering where you want to go. Steering input must be smooth but deliberate. In slow turns, lean the motorcycle only if necessary and remember to counter-balance — keep the motorcycle balanced by keeping your body upright or leaned slightly in the opposite side. This will keep the centre of gravity low, again keeping your body and arms relaxed with smooth input on the handlebar. Don’t forget to turn your head and eyes, steering the way you would at low speed. Some riders on off-road motorcycles prefer standing on their footpegs, weighting the relevant peg while steering and pushing one knee into the tank, and releasing the other knee in the direction of steering. A technique best practised under instructor guidance. Counter-steering is applied at speeds of 10 km/h and faster. You will find that when you get up to 15 to 20 km/h, the bike feels more stable, and at this speed the motorcycle must lean or pushed onto the small diameter of the wheel to make a turn. This type of steering counteracts the inertia that causes the motorcycle to remain upright and in a straight line. You make the motorcycle lean by counter-steering; it may seem to be the opposite of what you should do but that’s the only way. In simple terms if you want to lean right, you gently push on the right grip, or push on the left grip to lean left. 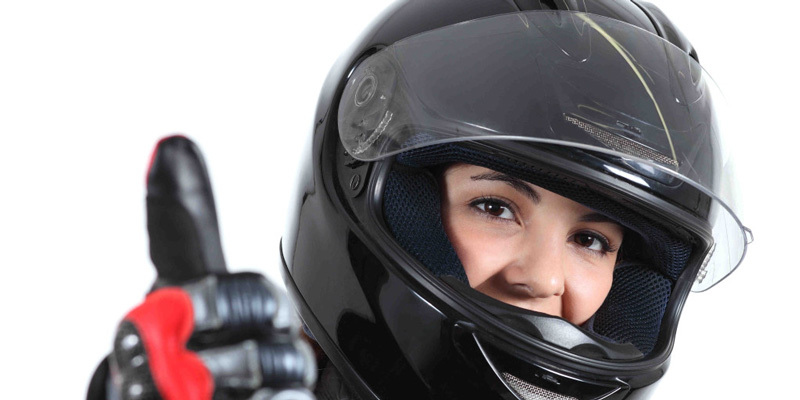 At medium or high riding speeds, the rider and the motorcycle should both lean into the bend at the same angle. If you find you need to lean just a bit more to stay in the curve, you could run out of traction or ground clearance, skid and fall. If you brake abruptly, you could lose traction and skid. If you hit a wet or rough patch on the road, you could lose traction and fall. The lesson is: Easy In – Faster Out. Enter your turn at a safe or comfortable speed that allows you to lean or counter-steer at a moderate angle — then, on your way out of the turn, roll on your throttle increasing your lean angle/more counter-steering as you do (or you’ll run wide), keeping your head and eyes up and through the turn looking at the exit. My advice, go to a quiet piece of road or parking lot, and practise this. The faster you ride more steering input or effort is required – Laziness to steer will kill you!